Over time, your face can develop permanent creases and lines, particularly around the eyes and forehead/frown area. The three main areas where botox gives great results are crows feet, horizontal forehead lines and vertical frown lines. Anti Wrinkle injections using Botulinum Toxin are one of the safest non-surgical methods to reduce these creases and create a smoother, more desirable appearance. Botulinum Toxin is a naturally occurring protein that causes the muscles of the face to relax, consequently smoothing out wrinkles. The procedure usually takes around 10-30 minutes and involves a series of injections into the muscles of the face that are causing the wrinkles. Results can be seen after 4-10 days and the effects usually last around 4 months, after which you may want to return for another treatment. 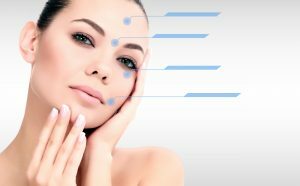 Botulinum Toxin has been used medically for over 4 decades and, provided it is administered by a qualified professional the risks of treatment are minimal. Side effects tend to be mild, the most common being mild bruising at the injection site and a mild headache post treatment. All risks and contraindications will be explained during your face to face consultation. Coming soon at R Dental Clinic. Please call us on 01274 638061 to be added to our contact list.